ACCESS – From Melbourne the easiest access is via S E Freeway, Monash Freeway, Heatherton Road, left onto Belgrave – Hallam Road, then left at Horswood Road where the entrance to the Park and Lysterfield Visitor Centre is located. About 42 Kms. It should be noted that there is no Public Vehicle access via Reservoir Road, Pedestrian access during Park Office hours only. 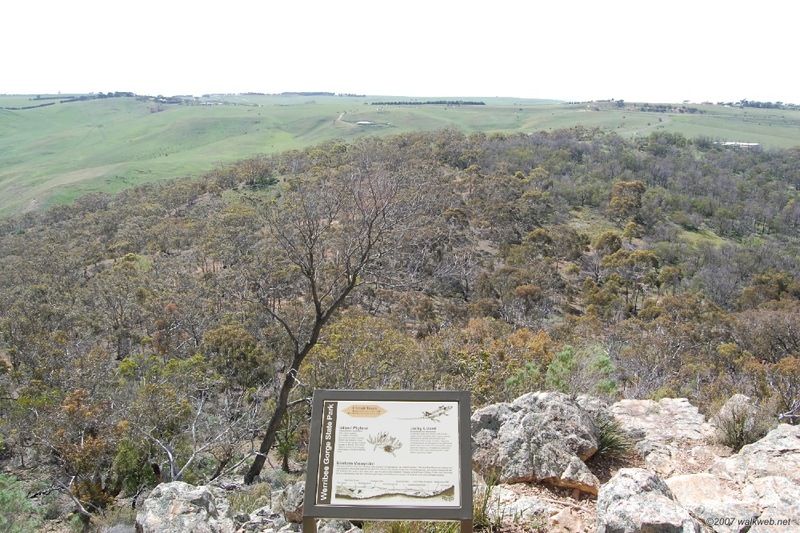 Refer Parks Victoria Web Site where maps and information about the Park can be downloaded. Melway 108 D2. After parking the car in a near deserted car park near the Park entrance I walked down towards the Lake and commenced my walk at the dropping off point for water based activities. 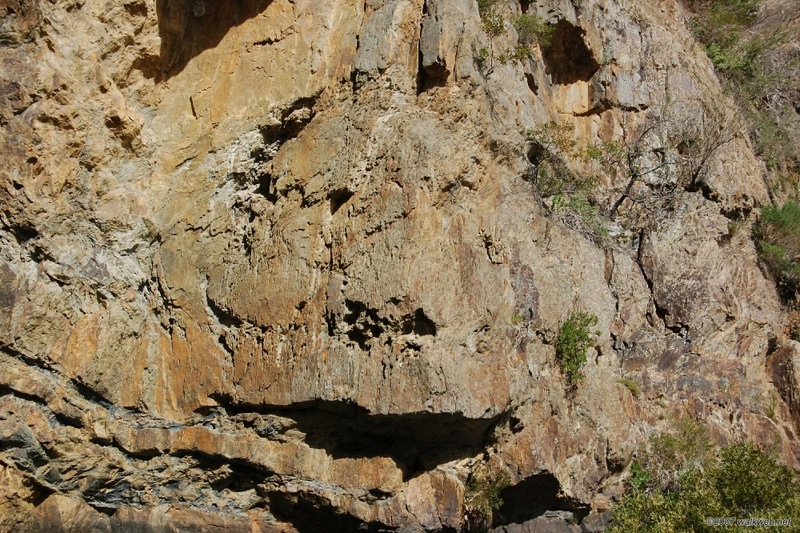 Turn left along the edge of the lake and meander along the track towards the swimming area near the dam wall. 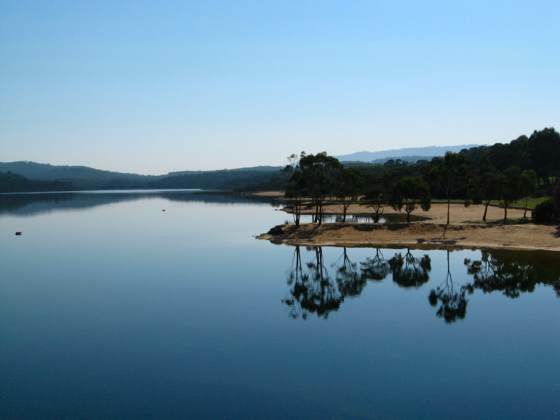 Make your way up to the top of the dam wall and turn right where you get a splendid view of the lake and its surrounds. At the end of the wall turn right and join the Casuarina Track for a short way before turning on to the well marked Tramline Walk Track. 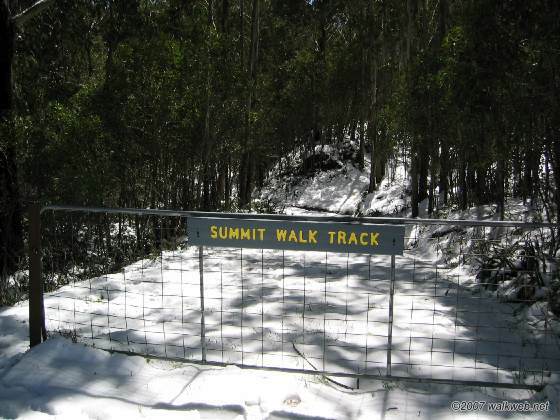 Follow the well defined track past a restored quarry rail cart and information signpost and continue through the forest past firebreaks and crossing Cloverdale Track, Gum cycle Trail, Glen Track and skirting the edge of Wallaby Track. The track climbs steadily and eventually meets the Valley View Track. 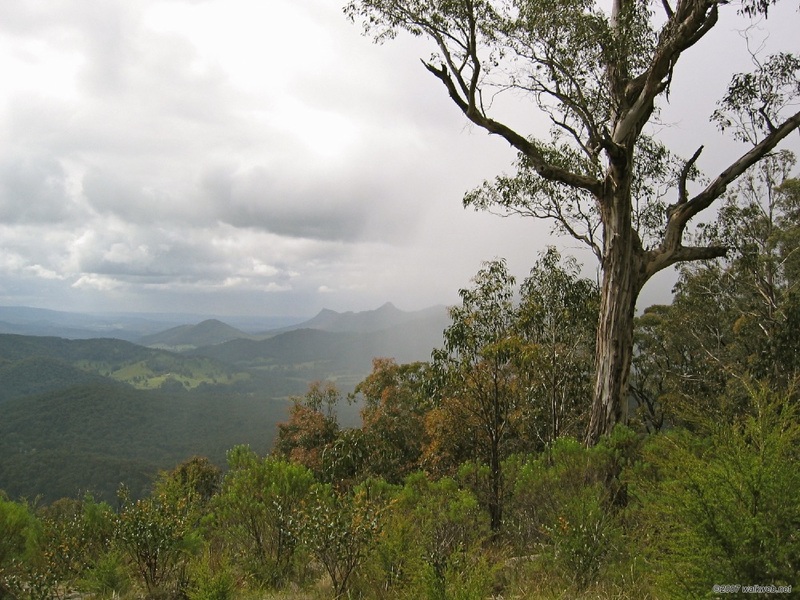 From the junction the forest opens up to grassland and I decided to follow the Grassy Spur Walk, again well signposted, past a small dam then climbing up towards the ridge crest with the Lysterfield Hills Lookout straight ahead. 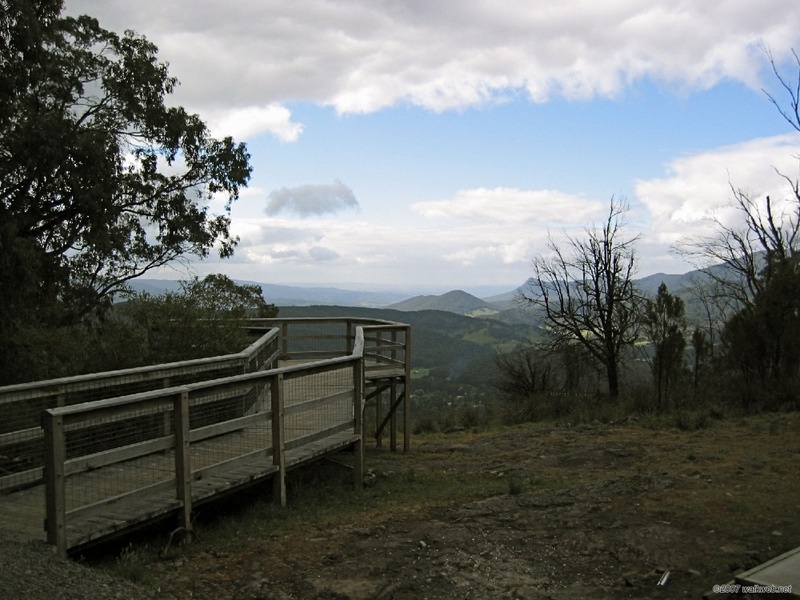 The lookout (232M) offers views over the surrounding district including the extensive quarrying operations to the North and West. 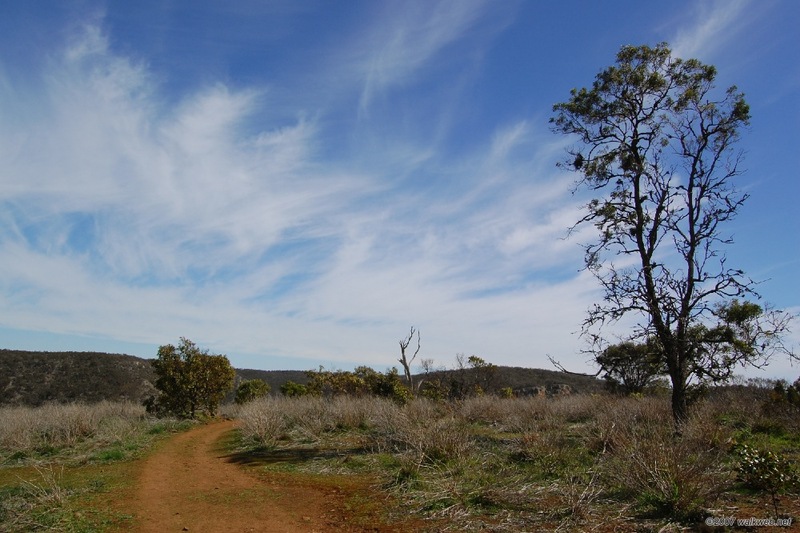 After a quick lunch break I followed the Lysterfield Hill Track dropping down in NE direction to join the Quarry Track. 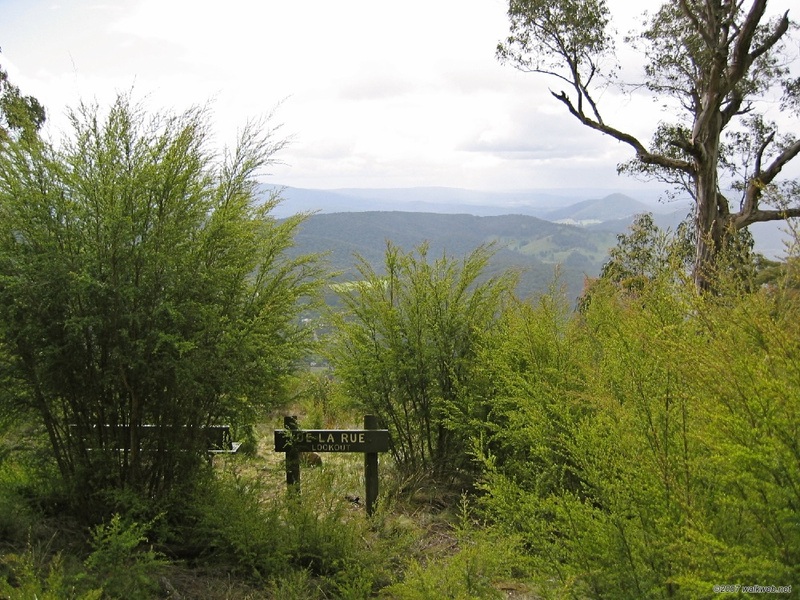 The Track follows the fence line for a while and meanders through the forest until it opens up on to the side of an open ridge where several new houses have been built overlooking Lysterfield and beyond. After a short while the track re-enters the forest and eventually meets Glen Track, which I then followed to the junction with Lamberts Track on the left. Follow this track past the junction with Casuarina Track and turn right on to Lake Track, which follows the eastern shore of the lake. Eventually a fence line comes into view with a gated entrance to the wildlife conservation area. Go through the gate and make your way along the path through another gate and then back to the car parking area. 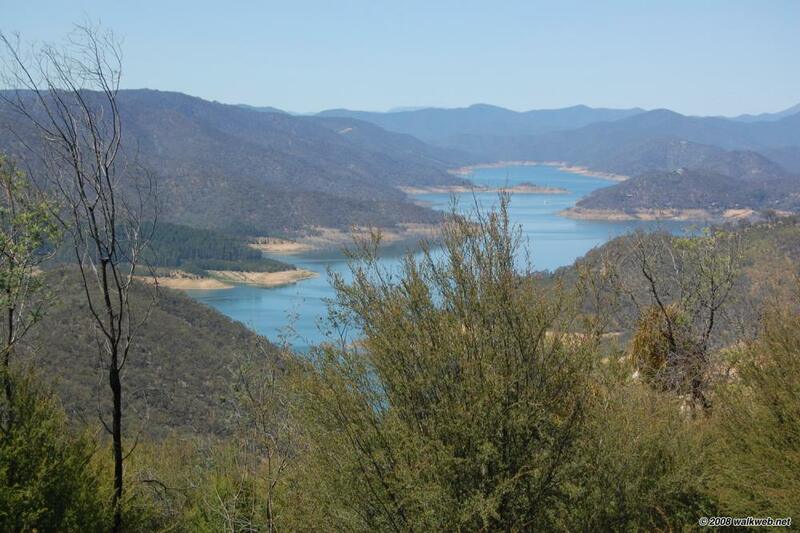 The immediate Lake surrounds are very attractive and offer plenty of opportunity for outdoor recreation particularly bird watching, water sports, running, walking and mountain biking. 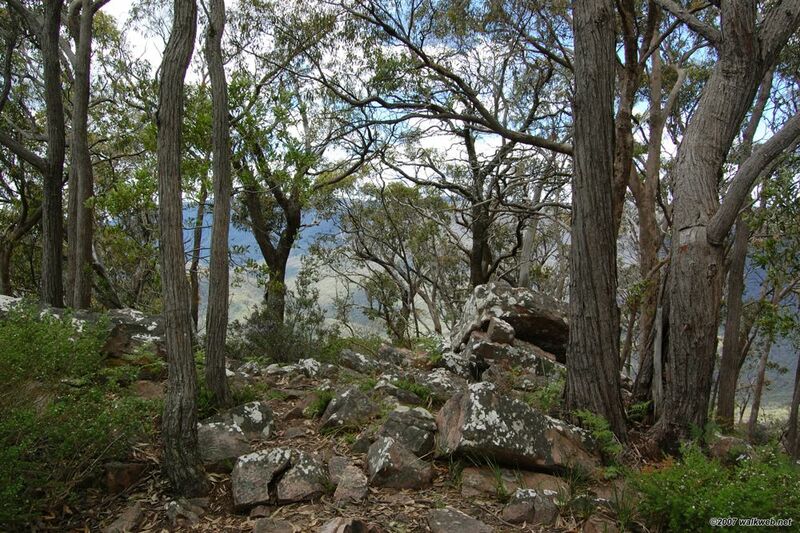 The most attractive section of the walk was the Grassy Spur section to Lysterfield Hill Lookout. 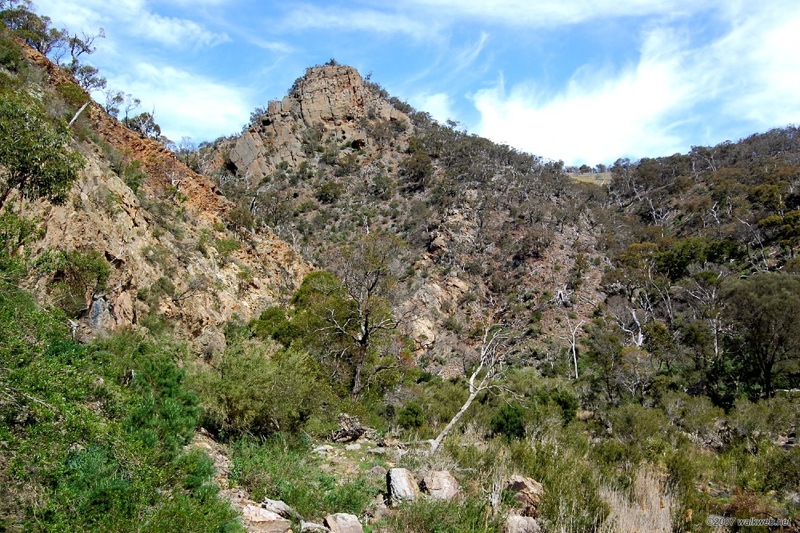 The Cathedral Range rises up from the Acheron Valley about an hour and a half outside Melbourne and provides some excellent walks in rugged bushland. 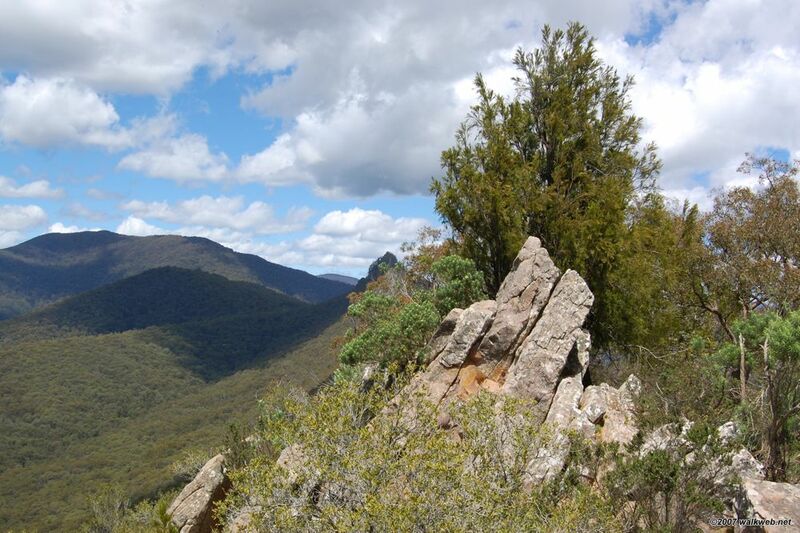 The range is encapsulated in the Cathedral Range State Park and can be reached from Melbourne by following the Maroondah Highway through Buxton. About 9km after passing through Buxton there is a turn-off on the right (east) along Cathedral Lane, a narrow bitumen road; a couple of kilometres further and another right turn (south) takes you into the park along a rather rough gravel road (accessible by 2WD vehicles with care). This walk takes in the northern section of the park, including the North and South Jawbones and The Cathedral. The walk commences at Neds Gully car park, which is the first car park reached if approaching from Cathedral Lane. Cross the gravel road to a track (Little River Track) that continues south alongside the Little River. 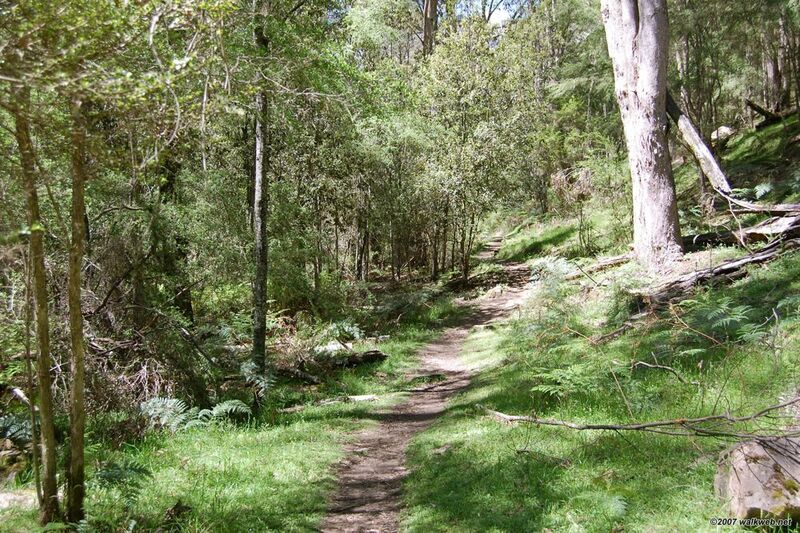 This track eventually reaches the extensive Cooks Mill camping area. From here the track continues east up to the Jawbones Carpark, where it descends briefly before climbing steeply to The Farmyard (passing a junction with a sign to the North Jawbone) a pleasant grassed area where camping is permitted. At the Farmyard follow a signed path westwards up to the South Jawbone for excellent views westwards. From the South Jawbone, descend back to The Farmyard and then retrace your steps towards the Jawbones Carpark and the aforementioned path junction, taking the signed path north to the North Jawbone, shortly thereafter there is another sign pointing eastwards along the short track that leads to the North Jawbone summit – also with good views, but somewhat more obscured by trees and vegetation. Descend back to the main track and continue northwards. After following the track for another kilometre or so a Y junction is reached and a decision needs to be made. 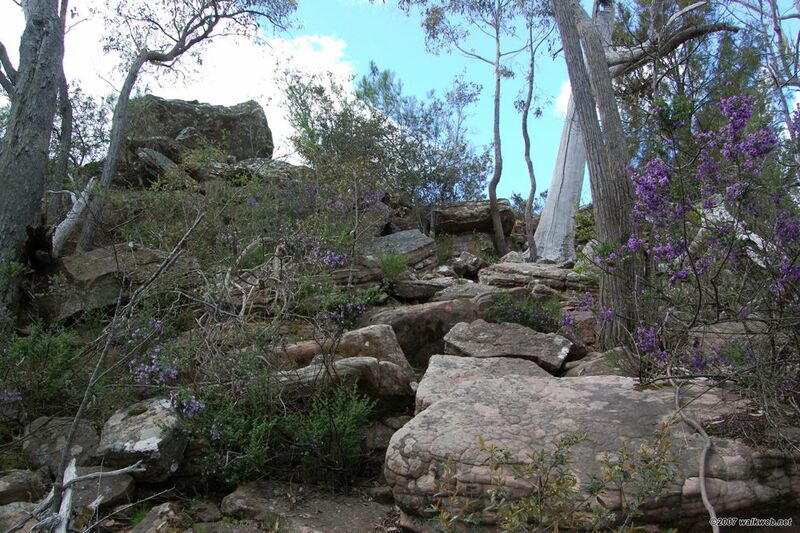 To the right a well formed path descends to Neds Saddle, to the left a track climbs onto the ridge. The ridge trail traverses the rocky ridge and requires a fair bit of scrambling with steep drops to the east; in many places there is no clear path and in wet weather this way could be quite slippery and treacherous. 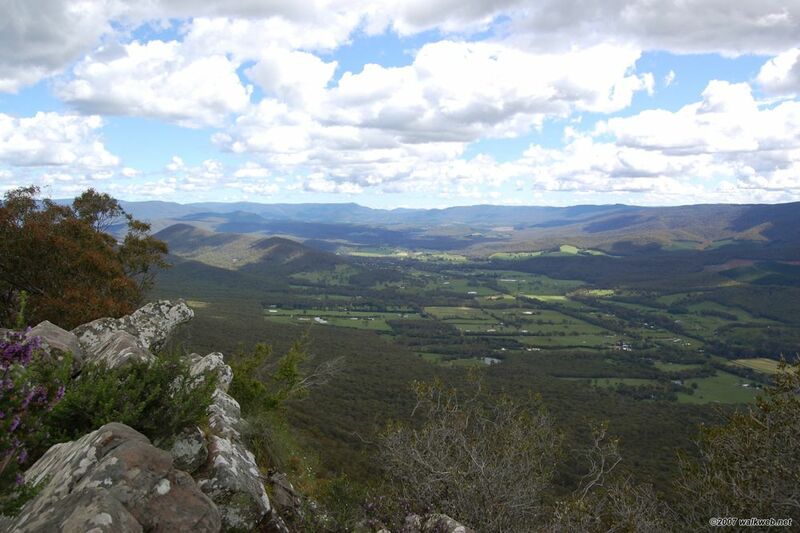 It also provides a challenging walk and magnificent views. 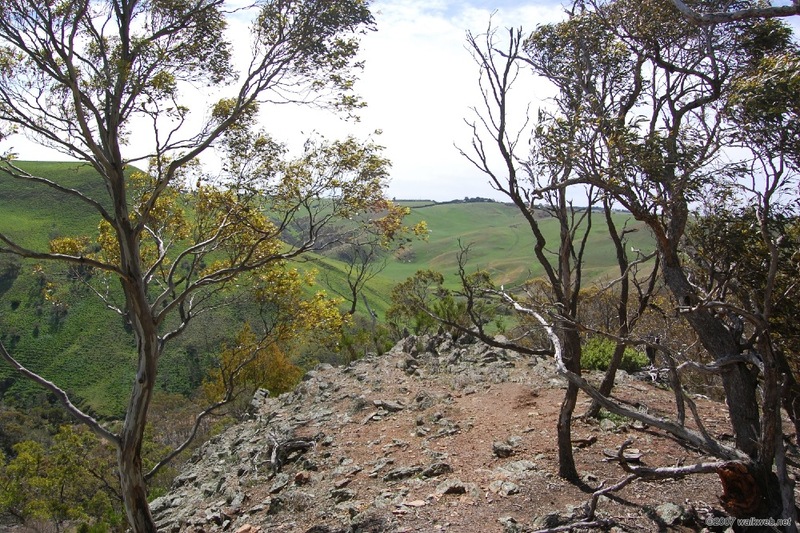 If the weather is good and you feel confident with some rock scrambling, take the ridge path, otherwise the path to Neds Saddle provides an easy route back to the start. The ridge trail continues for about a kilometre or so north to The Cathedral. Once The Cathedral is reached, retrace steps south to a track junction with a path east that drops very steeply into Neds Saddle. From here follow the clear and well made Neds Gully Track back to Neds Gully. 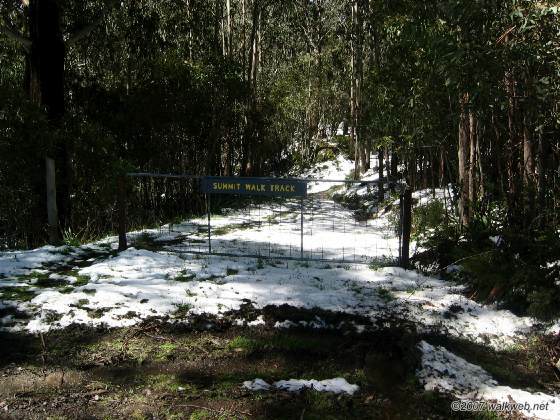 Victoria is having a bumper snow season this year, but last year was terrible. 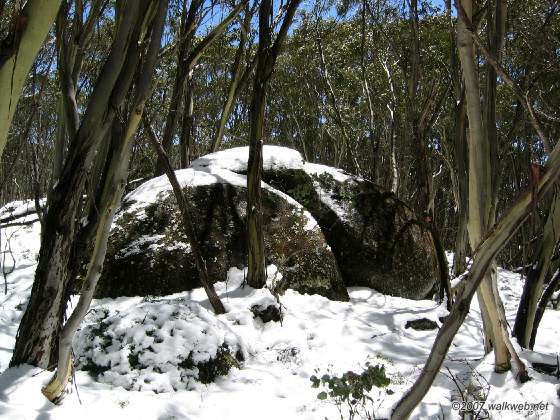 There was however a brief cold snap which dumped quite a bit of snow around the Marysville area (about an hour and a half from Melbourne) in November including a good deal at Lake Mountain, long after the ski season had closed. 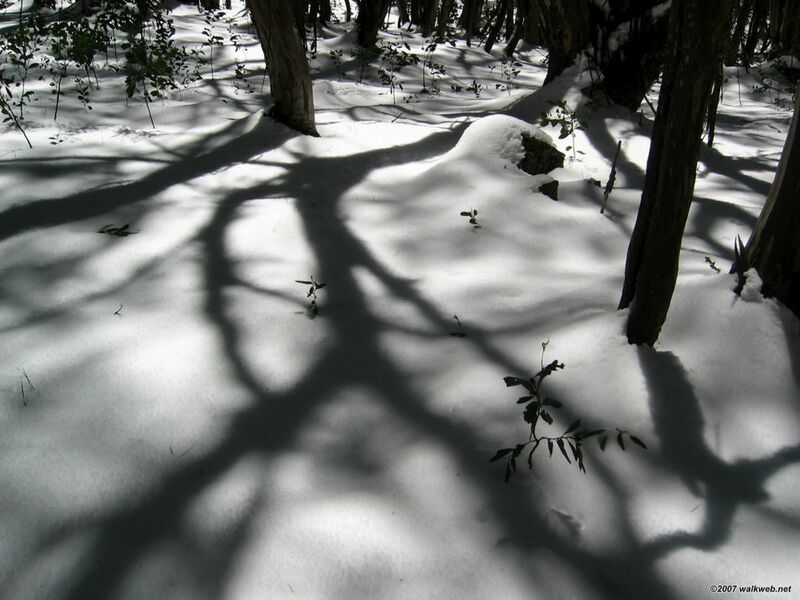 This is a very unusual event – Lake Mountain tends to be a marginal snow resort at the best of times – so I decided to take a day off work and head up for a walk and a look around. There were a few other people up there including some cross country skiers, this was probably the best couple of days that Lake Mountain had last year. Good job I went up when I did, the cold snap finished as abruptly as it started and the weather on the day was warm, so the snow was melting fast (compare the first and fourth photos below). 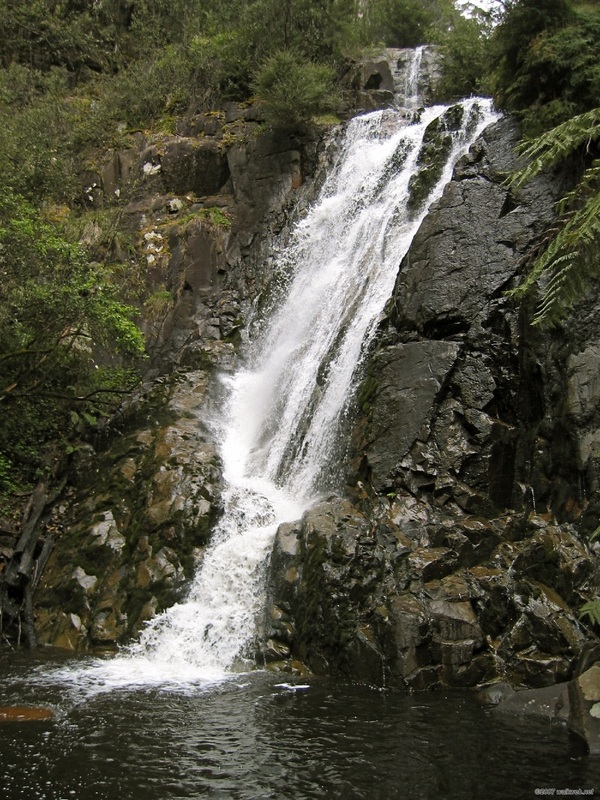 All in all though, a good days walking and recommended for a day trip out of Melbourne during the warmer months. 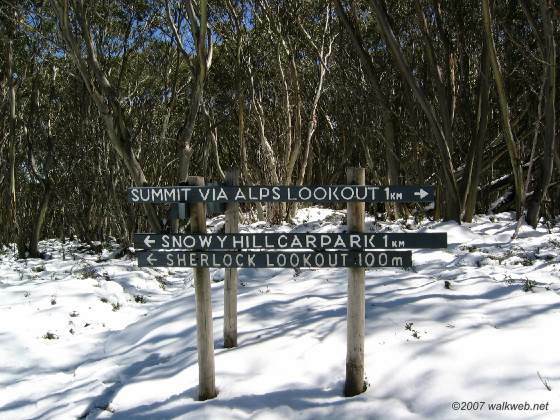 I parked at the Snowy Hill car park and took the summit track up the Lake Mountain summit (about 1.5km) and then down another km or so to Gerraty’s car park before taking the Echo flat ski trail to Triangle junction and then the Crossways lookout. At this point I turned around and headed back along another of the ski trails to Gerraty’s before taking the road back to Snowy Hill. There are a lot of ski trails in the area so make sure you have a map.